I’m probably a bit bias when it comes to the color PURPLE because the deep rich hue was a prominent color at my winter wedding many years ago.  Since grade school when I first realized that if I mixed blue and red it created purple I’ve been a huge fan. 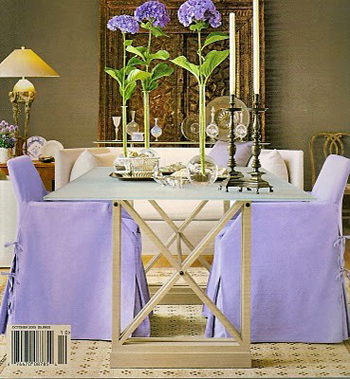 I was pleased to discover that the color purple represents not only royalty and nobility, but also ambition and wealth and people who are passionate about purple tend to be strong-willed and successful. 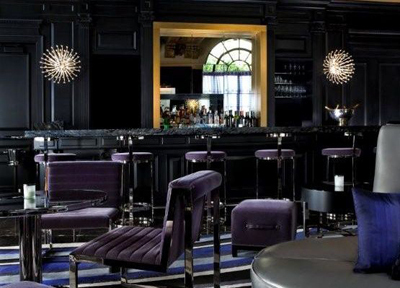 Like every color on the spectrum there are varying shades of purple, but I still prefer the richness of a deeper shade similar to Pantone 262 which was used to gorgeous effect in the bar at the St. Regis Hotel in Washington, DC below. 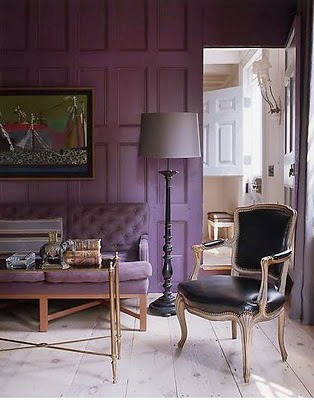 Purple is the color thought to be favored by Leonardo da Vinci and Cleopatra, so it appears I’m in great historic company. And did you know that the highest honor given to our most brave and heroic soldiers of war is called the purple heart? 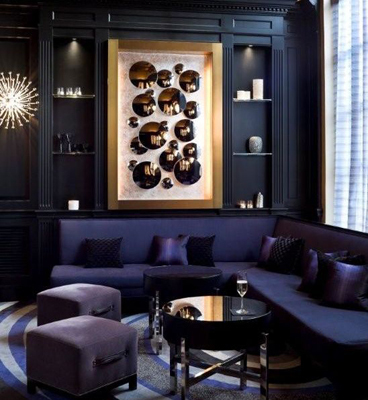 In interior spaces, the color purple has a very strong vibrancy, so experts advise using purple as an accent color in accessories like pillows, throws, and art work. 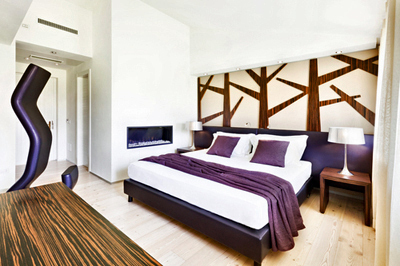 Purple is fantastic in rooms used for meditation or where the ultimate goal is to relax. 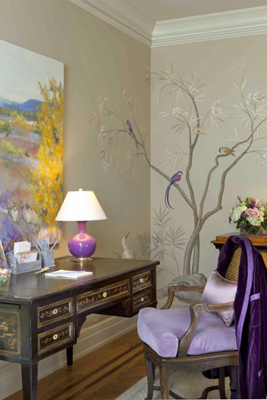 You can add purple flowers to a space for calming energy or try burning a lavender scented candle to increase relaxation after a particularly stressful day. 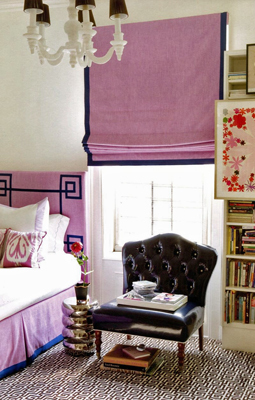 Children love purple and it’s a fabulous color to use in their rooms because it enhances their imagination and creativity. 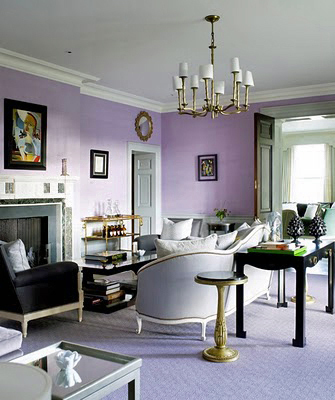 Entrepreneurs should consider using purple in their offices in combination with gold, silver or basic white. 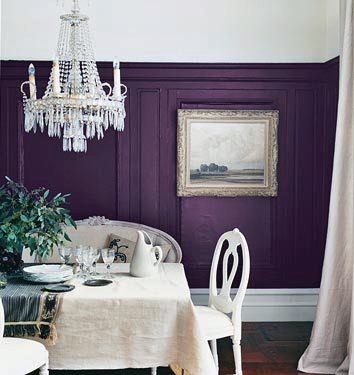 If you’re really daring try painting an entire wall in a shade of purple for a bit of the unexpected.